Woodberry was born in Johnsonville on Feb 22, 1889 to Wattie Gamewell Woodberry, Sr. and Rosa Belle Eaddy (first woman mayor in South Carolina history). He was the great-grandson of Henry Eaddy. He entered the United States Military Academy at West Point in 1910 and graduated with a Bachelor of Science in 1914. Afterward he was commissioned a Second Lieutenant in the United States Cavalry. He was transferred to the Field Artillery in 1916. During World War I, he was assigned to the Ordinance Department and participated in the design and construction of the aerial bombs used by Gen. "Billy" Mitchell in the test bombing of a captured German battleship. He was promoted to the rank of Lieutenant Colonel in 1918 and was transferred to the Ordinance Department in 1920. Between World War I. and II., General Woodberry studied at Army Industrial College, 1927-28; Command and General Staff College, Fort Leavenworth, Kansas, 1929-33; and the Army War College, 1934-35. He served in 1934-1939 as a member of the General Staff of the War Department. 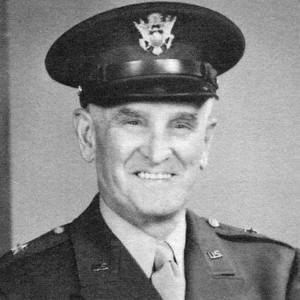 In World War II., General Woodberry served as Chief Ordinance Officer for General Douglas MacArthur's supply service (Southwest Pacific Area, 1944-45). General Woodberry enjoyed a successful career of 37 years with the U. S. Army. He held numerous patents on munitions of war. Among these were artillery fuse devices for control detonating waves used in most Army high explosive ammunition. He also developed cavalry machine gun equipment and conducted research and development in anti-aircraft and armored cars. An automobile tire pressure indicator was one of his civilian patents. In 1945, he was appointed Ordinance Officer, Army Service Command D, Japan Army of Occupation and was promoted to the rank of Brigadier General. Retirement came for him in 1946. Gen. Woodberry received the Legion of Merit, was a member of the Army Ordinance Association, and wrote many technical papers on ordinance detonation. He was a Mason and a member of the Founders and Patriots of America. He and his wife are buried at Arlington National Cemetery in Washington, D.C.
“Brigadier General John Henry Woodberry,” Johnsonville SC History, accessed April 23, 2019, https://www.johnsonvilleschistory.org/items/show/368.